Stokes: Honoring the Past, Inspiring the Future, commemorates the impact that Carl and Louis Stokes had on our city’s life, culture and climate. 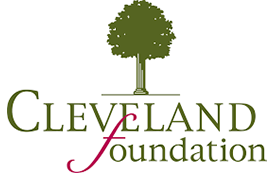 The initiative will unite Greater Cleveland's leading philanthropic, educational, civic and cultural institutions and will have a long-term and lasting impact on developing future leaders who are committed to changing the world. Leveraging the study of humanities to understand the community and teach leadership will extend Cuyahoga Community College’s momentum to ensure that more students succeed for the benefit of all of our community. The convening organizations leading the Stokes Initiative are deeply grateful to the following community partners that have committed to support the educational outreach activities, programs and events that reflect on the historic achievements of the Stokes brothers, while promoting constructive dialogue related to social justice and equality in today's world.